ATC 1st & Best 25 Years - Album #10. January 14, 1979 - Braniff Airlines began flying leased Concorde SSTs between Washington Dulles and Dallas-Fort Worth airports, under the terms of a unique interchange agreement with British Airways and Air France. April 4, 1979 - A TWA B-727 departed from JFK to Minneapolis with 82 passengers and a crew of 7. At FL 390 (39,000'), above Saginaw, Michigan the B-727 began a sharp roll to the right and started an uncontrolled descent in a steep spiral. 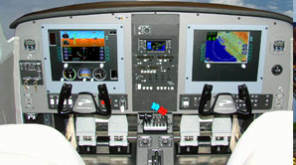 The roll continued despite the corrective measures taken by the autopilot and the human pilot. The jet went into a spiral dive and lost 34,000' in 63 seconds. During the dive, the plane rolled through 360 degrees twice, and crossed the speed limit for the B-727 airframe. At almost Mach speed, the jet began to shed parts, and the passengers experienced up to 6-G's during the flight upset before the crew was able to regain control back to level flight at 5,000', after the captain decided to extend the landing gear in an attempt to slow the jet, and following the loss of the #7 slat from the right wing. This 34,000' drop in just 63 seconds, seemed like an eternity to the passengers. The jet had a maximum speed of about 0.96 Mach at 32,000'. When they made an emergency landing at Detroit, they discovered a damaged landing gear, a missing leading edge flap, flight spoiler and other missing parts. No fatalities occurred among the 82 passengers and crew of 7, however 8 passengers reported minor injuries relating to high G-Forces. Industry reports indicated that older B-727 Captains would pop the circuit breaker for the leading edge slats and drop the flaps 2 degrees. This increases the wing area with no added drag, letting the plane cruise higher by a couple thousand feet, to save fuel while adding a few knots to the cruise speed. The NTSB established, after eliminating all individual and combined sources of mechanical failure, that the extension of the slats was due to the flight crew manipulating the flap/slat controls in an inappropriate manner. The flight crew, including Captain Harvey "Hoot" Gibson, denied that their actions had been the cause. Captain Gibson: "At no time prior to the incident did I take any action within the cockpit either intentionally or inadvertently, that would have caused the extension of leading edge slats or trailing edge flaps. Nor did I observe any other crew member take any action within the cockpit, either intentional or inadvertent, which would have caused the extension." The NTSB attributed the extension of the flaps to the deliberate actions of the crew. Captain Harvey "Hoot" Gibson appealed the NTSB's finding, first to the NTSB itself, and then to the U.S. Ninth Circuit Court of Appeals. Both petitions were rejected. 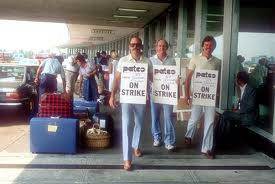 May 4, 1979 - The Federal Labor Relations Authority ruled that a strike fund established by PATCO was legal. While strikes or other overt job actions by Federal employees where prohibited by statute, strike funds were not. PATCO had established a National Controller Subsistence Fund in May, 1978, "to provide for the financial support of members whose participation in a nationally sanctioned job action has resulted in suspension and/or dismissal." The FAA unsuccessfully filed an unfair labor practice complaint against PATCO, believing the fund was a war chest for financing illegal job actions. 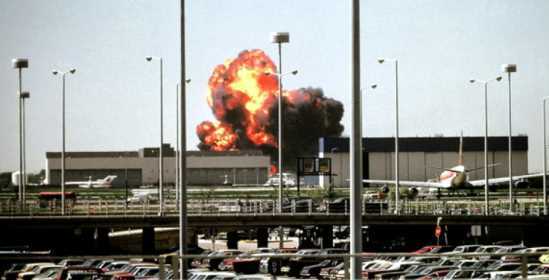 May 25, 1979 - Chicago O'Hare, IL - American Airlines DC-10, Flight #191 crashed near O'Hare International Airport in Des Plaines, IL, following improper maintenance and the loss of control of an engine. On the takeoff roll, the left engine and pylon separated from the wing. The crew continued the takeoff, but wing damage due to the engine separation also damaged the aircraft hydraulic system and caused retraction of some flight control surfaces. The jet rolled and crashed shortly after takeoff. Everything appeared normal on the takeoff roll until just after rotation speed, when the number one engine and the pylon assembly that attached it to the wing separated from the aircraft ripping away a 3' section of the leading edge of the left wing. Both the engine and pylon flipped over the top of the wing and landed on the runway. 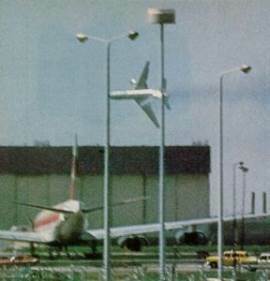 The pilots were aware that the number one engine had failed, but they could not have known it had fallen off the plane, because the wings and engines were not visible from the cockpit and the control tower did not inform the crew of the problem. 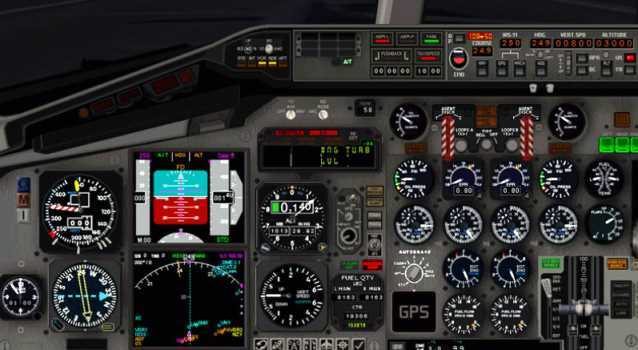 In addition to the engine failure, several other related systems failed. The number one hydraulic system failed but continued to operate via motor pumps which mechanically connected it to hydraulic system three, but that was also damaged and began leaking fluid. The number one electrical bus, whose generator was attached to the number one engine, failed causing several electrical systems to go offline, most notably the captain's instruments, stick shaker and slat disagreement sensors. 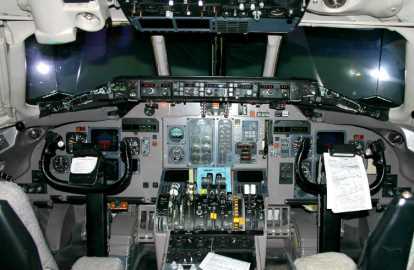 The first officer continued to fly the jet and his instruments functioned normally. The left wing entered a full aerodynamic stall causing the jet to roll rapidly to the left and enter a steep dive from which it could not recover despite maximum opposite control inputs by the first officer. The DC-10 crashed in a 112 degree bank in an open field 4,600 feet from the end of the runway. 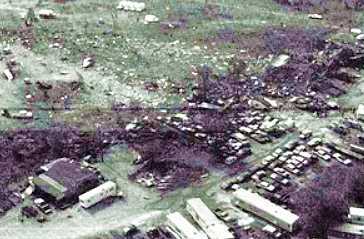 Large sections of aircraft debris were hurled by the force of the impact into a trailer park, destroying five trailers and several cars. The fuselage cut a trench into the empty former airfield and the large amount of jet fuel generated a huge fireball. The NTSB determined that the loss of the engine by itself should not have been enough to cause the accident. The jet should have been capable of returning to the airport using its remaining two engines. However, unlike other aircraft designs, the DC-10 did not include a separate mechanism to lock the extended leading edge slats in place, relying instead solely on the hydraulic pressure within the system. The NTSB further determined that improper maintenance procedures led to the failure of the pylon structure at a critical point during takeoff. Additionally the FAA surveillance and reporting systems failed to detect and prevent the use of improper maintenance procedures. The NTSB determined that the damage to the left wing engine pylon had occurred during an earlier (2 months) engine change at the American Airlines aircraft maintenance facility in Tulsa, Oklahoma. American Airlines was fined $500,000 by the U.S. government for improper maintenance procedures. Suspension and Restoration of the DC-10 Type Certificate. Three days after the accident visual inspections of the inside forward flange of each wing engine pylon aft bulkhead for cracks were required, as well as inspection or replacement of the bolts at the forward and aft ends of each wing to pylon thrust link assemblies. Also inspections were required of certain engine pylon to wing attachment structures. These inspections identified the existence of cracks in the wing pylon assemblies of mounting assemblies. Consequently, FAA Administrator Bond found that safety in air commerce or air transportation and the public interest was at risk, and issued an "Emergency Order of Suspension" of the Type Certificate for all Douglas DC-10 series aircraft on June 4, 1979. This order will be in effect until the DC-10 series aircraft meets the applicable certification criteria of Part 25 of the FAR and is eligible for a type certificate. On June 7, 1979 two Orders of Investigation and Demand for Production were issued. The first Order concerned the maintenance and airworthiness procedures related to the DC-10 and was directed to all operators of the jet. The second order was directed to McDonnell-Douglas Corporation and concerned the type certification of the Model DC-10 aircraft and other maintenance-related matters. After review of all the reports and investigations, FAA Administrator Bond determined that the McDonnell-Douglas DC-10 met all the requirements and re-issued a type certificate for the DC-10, and on July 13, 1979 the Emergency Order of Suspension was terminated. July 30, 1979 - DARC - FAA accepts the first delivery of 20 Direct Access Radar Channel (DARC) subsystems for all 20 en route centers to provide backup. DARC is a backup system when the IBM-9020 computer goes down. Radar data is sent to DARC, that bypasses the old IBM. The controller at the radar screen does not see any change from the primary system. The blips continue to appear along with the 'data blocks' containing flight number and computer ID of each plane, its altitude, and its speed. 'Conflict Alert' that warns of impending loss of separation between planes. Route projection that permits the controller to project a plane's intended flight path on the screen. A 'Minimum Safe Altitude Warning'. (Important in mountainous regions). Radar handoffs are not possible, and the controllers must use phones to talk to controllers in adjacent sectors. The NTSB determined that the probable cause of this accident was the pilot's failure to recognize the need for, and to take action to maintain, sufficient airspeed to prevent a stall into the ground during an attempted landing. The pilot also failed to recognize the need for timely and sufficient power application to prevent the stall during an approach conducted inadvertently without flaps extended. Contributing to the pilot's inability to recognize the problem and to take proper action was his failure to use the appropriate checklist and his nonstandard pattern procedures which resulted in an abnormal approach profile. October 18, 1979 - The first prototype of the McDonnell Douglas MD-80 made its initial flight. Originally designated the DC-9, the aircraft was a "stretched" derivative of the DC-9. The MD-80 was type certified by the FAA on August 26, 1980 and the first production aircraft was delivered to Swissair. The MD-80 was not fuel efficient compared to the A320 and B-737's, due to the aging JT8D engines. The MD-80 burns 1,050 gallons of jet fuel per hour, while the B-737 burns only 850 gallons per hour. October 28, 1979 - Allegheny Airlines changed its name to USAir, reflecting the growing route system of this former local-service carrier. November 15, 1979 - An American Airlines B-727 from Chicago to Washington DC was attacked by the 'Unabomber.' The bomb planted in the cargo hold failed to detonate, but gave off large quantities of smoke, and 12 passengers had to be treated afterwards for smoke inhalation. 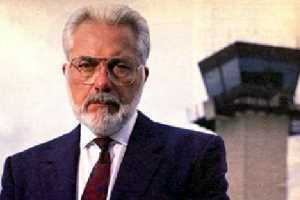 It was determined that the bomb was powerful enough to have destroyed the jet had it worked correctly. 1979 - ARTS III-A after being tested at the Tampa Tower was installed at the New York TRACON. ARTS III-A had the capability to generate alphanumeric data on all targets, both beacon and primary radar, and the electronic impulses from its computer can be remoted to satellite airports. A similar system for smaller commercial airports, known as ARTS II was also developed and driven by minicomputers. ARTS II generates alphanumeric readouts of identity and altitude but not ground speed. 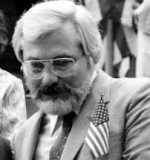 January 7, 1980 - John F. Leyden resigned as president of PATCO after a bitter struggle for control of the organization with regional vice-president Robert E. Poli. Both Poli and Leyden submitted their resignations, but the PATCO board accepted only Leyden's resignation. Robert E. Poli became interim president and was elected to a three-year term on April 24, 1980. January 25, 1980 - A Delta Airlines L-1011 was hijacked to Cuba. The hijacker demanded to be flown to Iran, but eventually surrendered to Cuban authorities. This was the first U.S. airline hijacking in which real weapons or high explosives passed through the passenger screening system since the implementation of the new airport security measures in 1972. April 15, 1980 - PATCO "STRIKE PLAN"
PATCO distributed an "educational package" that many in FAA considered to be a "STRIKE PLAN" to its membership. The package included information on how to establish communications networks and committees on security, welfare, and picketing, recommendations for a variety of financial preparations in case of the loss of wages during a job action, and advice to local PATCO organizations on how to make arrangements for bail bondsmen and for other legal services. 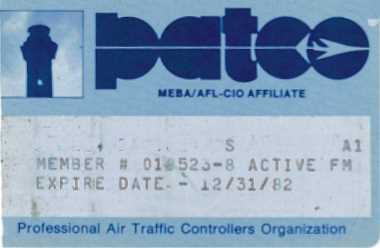 August 15, 1980 - PATCO controllers at Chicago O'Hare conducted a one-day traffic slowdown that caused 616 delays of 30 minutes or more and cost air carriers more than $1 Million in wasted fuel. The slowdown took place because the FAA turned down a demand for an annual tax-free bonus of $7,500. August 16, 1980 - Three jetliners hijacked to Cuba. 1. A Delta Air Lines L-1011 Jumbo Jet; 2. A Republic Airlines DC-9; and an Eastern B-727. The Eastern B-727 was ordered to Cuba and later returned to Miami in the afternoon, a few hours before the other hijackings. The Eastern B-727 flight, bound from Miami to Orlando, was commandeered by 6 disenchanted (with life in the United States) Cuban refugees, and was carrying 40 other passengers and a crew of 6. The Eastern crew and passengers returned to Miami safely after three hours at Havana's Jose Marti International Airport. The hijackers, all men, were taken into custody by Cuban authorities. They had told the crew members that they would detonate a "Doodle Bug" they claimed was a bomb and would ignite a liquid they said was explosive. The "bomb" turned out to be a toy. Two of the hijackers sat in the cockpit, while the others paced nervously up and down the aisles. A Venezuelan passenger, translated for the crew and the hijackers told one that they were homesick. 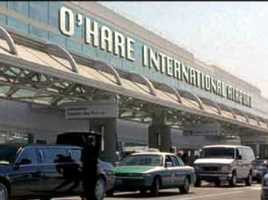 "...the hijackers paid cash for one-way tickets, which should have been a red flag, and they did not have any luggage. I thought it very strange that they all sat in different seats throughout the plane, yet they all looked similar because they used paper bags to carry their personal belongings. We had to drop our fuel over the ocean as we explained to the hijackers that the jet was way too heavy to land on such a short runway. As soon as our wheels went up they were screaming: 'Cuba, Cuba'. They drenched me in gasoline, which they had smuggled in a plastic generic cosmetic bottle, and threatened to set me on fire. I was one of 3 flight attendants. Before we landed, we were escorted in by a Russian military plane, and we landed at their most remote runway. There were Cuban soldiers in jeep-like vehicles with submachine guns mounted on top. They were the first to board the plane and ushered out the hijackers. Next the Russian soldiers took off the crew and all the passengers. They were brought to the terminal in a holding room. At the time Eastern Airlines colors for flight attendants was an army green - very military like. The Russian soldiers separated us from our crew and passengers, then teased us for hours with sticking their guns in our bellies and our backs. The worst part of the whole ordeal was the many hours that we were detained in Miami being questioned by different organizations separately. The FAA, the CIA the FBI and officials who did not identify themselves, plus supervisors from the airlines all questioned us repeatedly with the same questions, without getting us any nourishment or giving us time to recoup. I felt like I was being treated as a criminal in the debriefing procedure. I deadheaded back to my home base, Washington D.C. with complete exhaustion, and was back flying a few days later. In those days we were not given any counseling, mainly because we were supposed to be trained for emergency situations." October 20, 1980 - E-MSAW - The FAA commissioned the first En Route Minimum Safe Altitude Warning System at the Cleveland ARTCC. The E-MSAW provides the controller with a displayed warning of a potential collision between a tracked aircraft and terrain and/or ground obstructions. It also contained the conflict alert function. October 20, 1980 - Republican presidential candidate Ronald Reagan wrote to PATCO president Robert E. Poli, saying: "You can rest assured that if I am elected President, I will take whatever steps are necessary to provide our Air Traffic Controllers with the most modern equipment available and to adjust staff levels and work days so that they are commensurate with achieving a maximum degree of public safety." The PATCO executive board endorsed Reagan for President and at the same time charged President Carter with ignoring serious safety problems that jeopardized the nation's air traffic control system. December 19, 1980 - New York Air began operations, competing against Eastern Airlines Washington-New York shuttle service. The new, non-union regional carrier was a creation of Texas Air, a holding company created by Frank Lorenzo in 1980. Texas Air also owned Texas International Airlines. December 31, 1980 - The National Transportation Safety Board (NTSB) reported that 1980 was the safest year in history for U.S. certificated route and supplemental carriers.